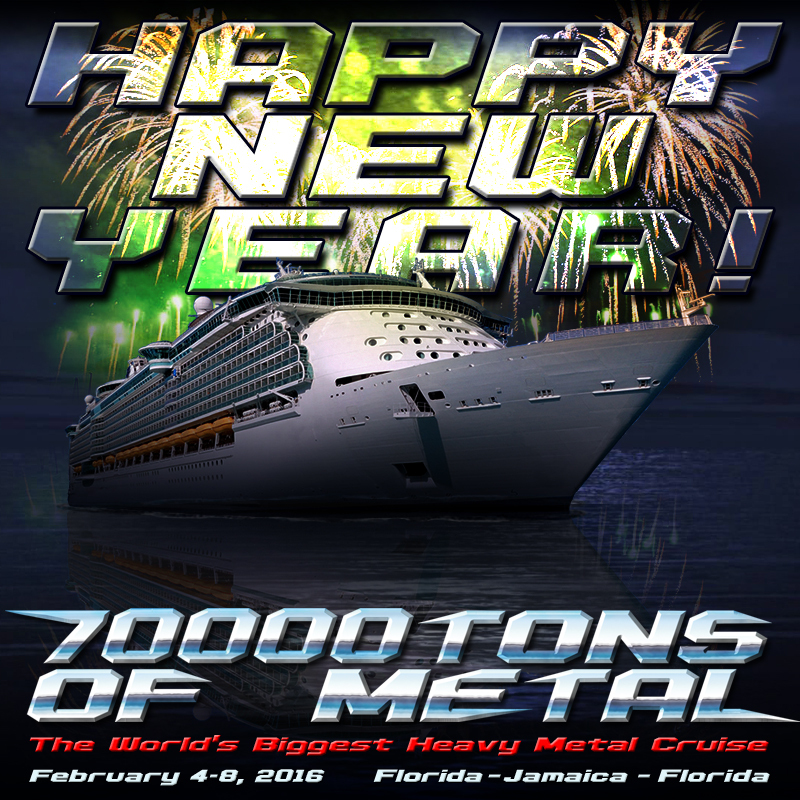 70000TONS OF METAL would like to wish everyone around the Globe a Happy and Headbanging New Year! For those of you lucky Sailors who will be joining us in February and starting 2016 in style… Only five more weeks until we depart for round 6 of The Original, The World’s Biggest Heavy Metal Cruise! We have some exciting news to share in the coming weeks, stay tuned!